1. 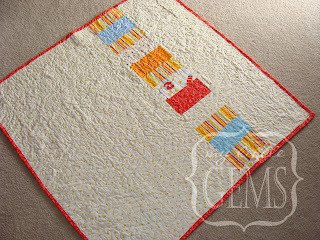 Obsessively Stitching is doing a great tutorial for a disappearing nine-patch quilt. 2. 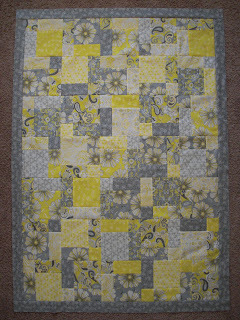 This is a great play on the original pattern I did for my first quilt - every other block is solid! Cuts down on the busy-ness of lots of patterns. 3. 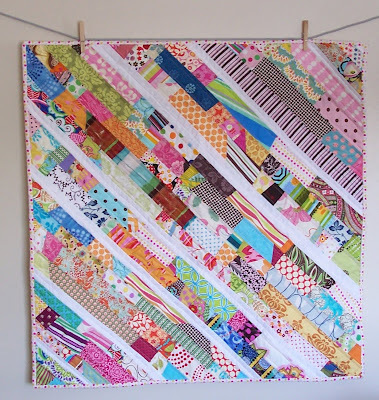 Love this quilt - both front and back! 4. String quilts seem like a LOT of work. But they use up all those pretty scraps and look gorgeous! 5. 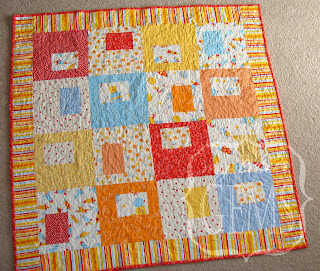 This quilt looks like a lot of work as well, but I love how the gingham back mimics the pieces on the top. Wow, Heather! I had no idea you were so crafty!!! These quilts are gorgeous!